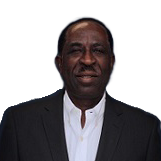 Akin Ayeni is an psychiatrist with over 38 years of experience in medical practice. Dr. Ayeni became an Oxford Scholar upon completion of the British Medical Practice program in Exeter, UK. Dr. Ayeni has been involved in the treatment of addiction both as a clinician and as a policy maker for several states including Maryland, Kansas, Delaware, Virginia, Pennsylvania and Georgia. While in Maryland he designed the Maryland Department of Safety Policy for the Re-entry Program. This program was so successful that the drug Czar under President George W. Bush as well as a delegation from Soviet Union visited and commended the excellence of the program. Dr. Ayeni has a unique interest and experience in the treatment of addiction diseases in pregnant women as well in adults and young adults with the illness of addiction. He is a graduate of the College of Medicine, University of Lagos, Nigeria and he completed his Family Practice Residency at the Morehouse School of Medicine, Atlanta, GA. He also completed a Fellowship in Faculty Development from the Morehouse College of Medicine. In addition, he holds a Masterâ€™s degree in Public Health from the Royal Institute of Public Health, London, UK. He later obtained a Masterâ€™s degree in Business Administration from the Emory University, Atlanta, GA. Dr. Ayeni is a Certified Addiction Disease Specialist with more than 28 years of experience in the Field of Addiction Medicine. Dr. Ayeni is a Member of the American Academy of Family Practice, he is certified and a member of the American Society of Addiction Medicine and a Fellow of the Royal Institute of Public Health in London, England.